We first talked about Check In, Knock Out, the first student game that tinyBuild has added to its growing portfolio. The premise behind this game is an all-out brawl to figure out who gets to claim hotel rooms in a double-booked hotel (something many of the PAX attendees could certainly relate to.) Each match is played to “last man standing,” a challenge for all players as everything on the screen is a destructible platform. To win, you have to not only knock your opponents off a platform to see them fall to their fate, but must also be clever enough to avoid losing your footing yourself. It’s that kind of simple, fun brawl experience that lends itself well to local multiplayer. 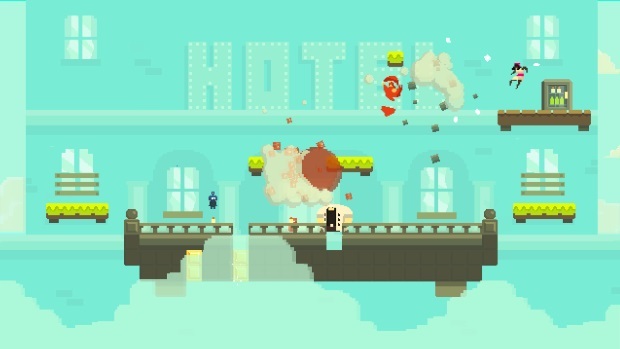 Check In, Knock Out was made in GameMaker, which means it’s joining the company of other games built on the engine – including Hotline Miami, Nidhogg, Risk of Rain, and Spelunky. Still, its future is relatively nebulous in terms of platform, pricing, additional features, and eventual release, only because tinyBuild has recently acquired the game and hasn’t had an opportunity to look into its possibilities in depth. Speaking of multiplayer, tinyBuild has another game (besides the RTS hit Boid) that is becoming rather well-known, especially thanks to YouTube stars: SpeedRunners. Like Check In Knock Out, SpeedRunners has a rather simple and straightforward gameplay to it: you race other players on a looping map in a 2D Mario Kart style match. With its Steam Workshop integration, the game now boasts over 9,000 (no meme intended) community items. 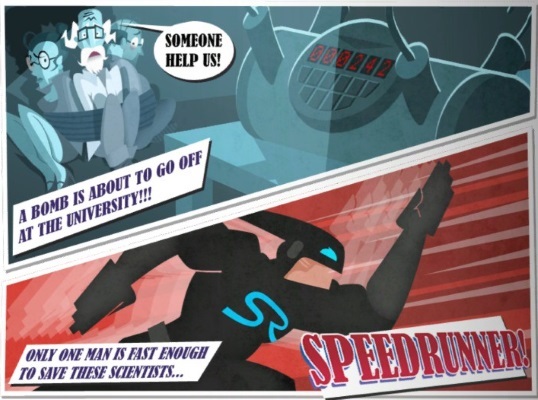 As the game is finishing up the final polishing touches in beta, we may see SpeedRunners launch later this year.